It is a well-known fact that hockey is one of the most popular sports in the world today. As a matter of fact, hockey is a popular sport in almost every country you can think of. Are you a professional hockey player? Or maybe you are interested in coaching hockey? Whatever the case may be, you can use the hockey certificates provided below. 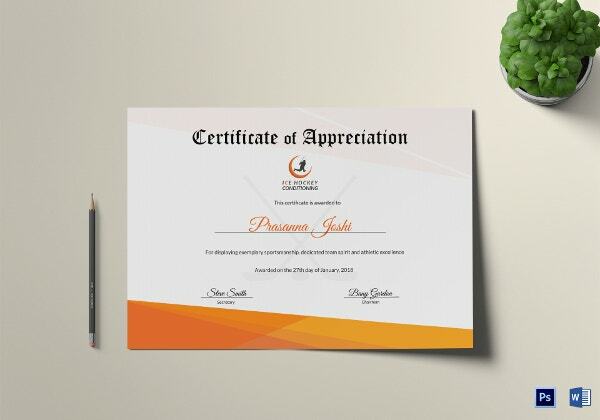 These certificate templates have been designed especially for the occasion and would come in handy as well. 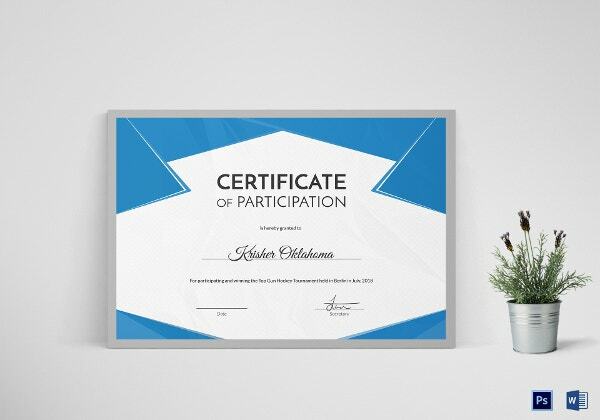 This certificate template would be perfect if you were to recognize the tremendous achievement of a particular person in the field of hockey. You could download the template and then edit it. The first thing you notice about this certificate template is the border. A well-defined border makes your hockey champion template look all the more stylish and attractive as well. 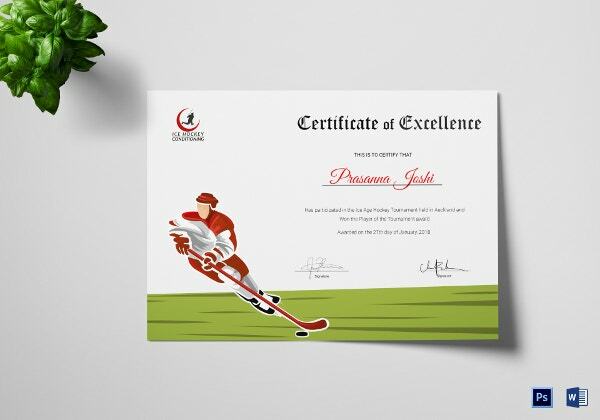 This hockey certificate template comes with stock images. However, the choice is yours. You could choose to retain the images or even remove them and add your own. It is editable. 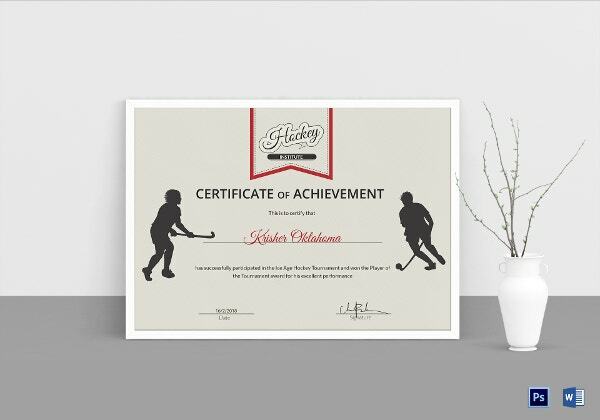 In order to recognize someone’s achievement in the field of hockey, you could use this specialized hockey certificate template. It comes in a standard size and with word and PSD compatibility. Do not forget to take into account the occasion. The kind of event must be taken into consideration. Without that, it would be difficult to design any kind of certificate. Make sure you avoid silly mistakes like spelling errors or grammatical mistakes as well. That would defeat the whole purpose of a hockey certificate. Check your details before you print the certificate template. That would reduce chances of error. > What are Benefits of Hockey Certificates? You also get a bunch of stock images. Whether you retain them or add your own is entirely up to the designer. The templates are 100 % customizable and editable. That means, most of the elements that you see on the template, including the color, the text and the graphics, may be customized as per your requirements. The templates have been designed with utmost care and attention by the professionals. The templates would save you a whole lot of time and money and would reduce hassle. You can also see Skating Certificates. By now, you are already aware of the various advantages and benefits of using the hockey certificate templates. The whole process is very simple. You just have to go through the collection here, select the one you like and download it. Once you do, you’ll even get the chance to personalise the template.